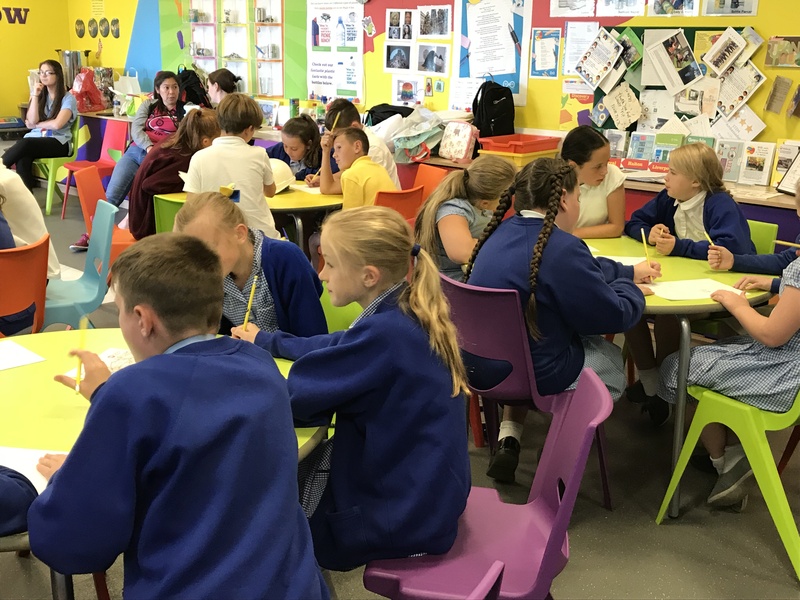 Mrs Murphy, Deputy Headteacher at Saints Peter and Paul Catholic Primary School in Kirkby, discusses working with Future First to broaden horizons and the impact that relatable role models have had on their pupils. Our school is a large Catholic Primary School situated in Kirkby, Knowsley. We started working with Future First because we were still in touch with a lot of former students and wanted to make better use of these connections. Our school has a real family centred ethos. Lots of our parents are former pupils themselves and the community is very supportive. We thought we’d have a good chance of people being willing to come back into school to raise the aspirations of our children and broaden their horizons. The workshops the children took part in, raised their self-esteem massively and widened their ideas of what they could do in the future. The fact that the volunteers were from the local community or former pupils themselves was amazing. The children understood them fully and the volunteers were such good role models to them. They were on the children’s wavelength, knew how to engage and interact with them but most of all they made sure they embodied our school ethos. They had a personal impact on every child and showed them that they could do anything they wanted to if they worked hard to achieve their dreams. I really liked that the workshops reached out to everyone in terms of the activities on offer which stretched and challenged the children’s thinking skills as well as their personal and social skills. I remember one of the children telling me how the workshops had really helped him to become a better team member. At the start, his group didn’t work well together and were arguing but by the end they were much better at collaborating. The volunteers helped them with this. They enabled the children to work collaboratively, often identifying specific roles when working as a team. I think the big thing for me is that the self-esteem of our children really did improve; impacting on their confidence to deliver presentations that they had created. One of the volunteers during these workshops was Brad, a former pupil and currently a parent of our school. He was fantastic and the children really engaged with him. We had a graduation ceremony coming up for our Year 3 – 6 children and we wouldn’t usually have a speaker but we’d heard how well it worked from another Future First primary school and thought it would be an inspiring thing for our school community too. We invited Brad to speak to 70 of our pupils and 140 of their parents. He spoke from the heart about his own journey through school and how the children could be anything they wanted to be in the future if they made the most out of every opportunity and didn’t let things knock them down. His whole speech really was from his heart and the children could feel this. Everybody enjoyed listening to someone from our local area who had attended this school and had achieved success. It made the children feel like they could do the same. I’ll never forget when he said, “It is not how much money you earn or how successful you are; it is being kind to others that is important.” He was really able to embody our school motto: love, care and respect. I think Brad was also inspired by this journey with us: from being the person who attended each Future First workshop to a speaker at our graduation ceremony before becoming a school governor.